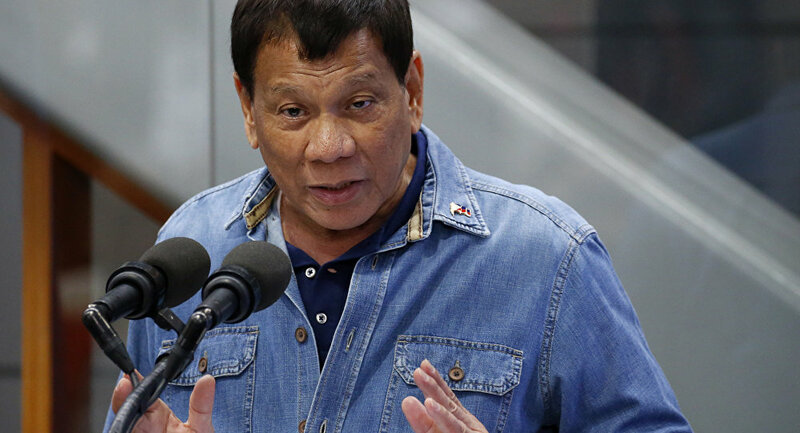 In a Wednesday speech at the presidential palace, Philippines President Rodrigo Duterte slammed his country's Catholic bishops as “useless fools”, calling on his people to “kill them”. "These bishops that you guys have, kill them. They are useless fools. All they do is criticise", the Filipino leader was quoted as saying. Duterte then branded the Catholic Church as “the most hypocritical institution” and said that his God was different from the one Catholics believed in. It was not the first time Duterte, a baptised Catholic, used strong words against the bishops. The Philippines president was previously angered by some bishops' open criticism of his policy to crackdown on drugs. In November, the Philippine Star reported that Duterte called out Bishop Pablo Virgilio David of Caloocan, saying that "I suspect you are into illegal drugs". In summer, the eccentric leader referred to God as “stupid” and a “son of a b*tch”, suggesting that if there’s “one single witness” who can prove God’s existence by showing him a selfie together, he’d immediately step down from office. The Philippines is a Catholic-majority nation, with over 86 percent of the population (some 76 million people) practicing Roman Catholicism.